With West Texas Intermediate crude oil at $48 a barrel and trading within a fairly narrow band for the last year, Bill Newman, Vice President and Senior Analyst, Oil & Gas with Mackie Research Capital, discusses several small-cap E&P companies that are positioned for a rebound. The Energy Report: Which small-cap energy companies stand out and are well positioned for a rebound in the marketplace for the remainder of 2017? Bill Newman: The small-cap E&P names worth paying attention currently are those which are fully funded, have upcoming growth catalysts and/or are trading at such steep discounts to asset valuations that these companies become prime takeout candidates (given the disconnect between market trading prices and asset values). The two small-cap companies that are in this camp are Prairie Provident Resources Inc. (PPR:TSX) and Point Loma Resources Ltd. (PLX:TSX). In the service sector Aveda Transportation and Energy Services Inc. (AVE:TSX.V) is a small cap name that is also worth a look. TER: Let's take your first pick, Prairie Provident. What are some of the key highlights? BN: Prairie Provident released strong second quarter results but despite this, the stock has followed the market down, which in my opinion is an opportunity in the marketplace. 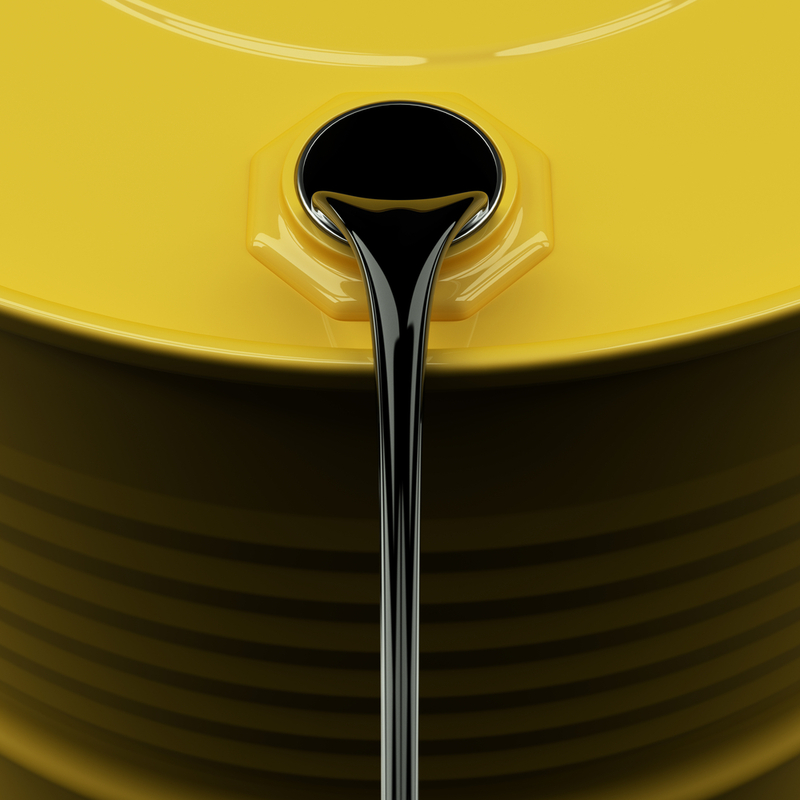 The company is tremendously undervalued and with a production base of ~6,000 barrels of oil equivalent/day (~6,000 boe/d) and large operated land base, we believe the company is a prime takeover target given the disconnect in the marketplace currently versus the company’s asset value. Approximately 40% of the company’s production is from its Evi core area, which provides a stable production base of premium-priced light oil. The company has proven developed producing (PDP) reserves valued at approximately $180 million versus its current enterprise value of approximately $100 million so the company is trading at nearly half of its PDP value and a third of its proven plus probable value of $300 million. In the second quarter of this year, PPR generated funds flow from operations of $7.1 million ($28.4 million annualized), which calculates to a 1.5x multiple. Year to date, Prairie Provident drilled four wells, all successful, which should build production in the third quarter and the company has an inventory of over 170 horizontal development drilling locations to drive growth for many years. In the second half of 2017, the company can easily fund capital expenditures within cash flow and is positioned to grow its reserves further in 2017 given the company’s successful drilling results to date. TER: What can we expect in 2018? BN: The company is going to take a cautionary approach to capital spending by living within cash flow, which we think is prudent. We are looking for production to average 6,870 boe/d in 2018, which is 12% higher than our 2017 average production estimates of 6,125 boe/d. 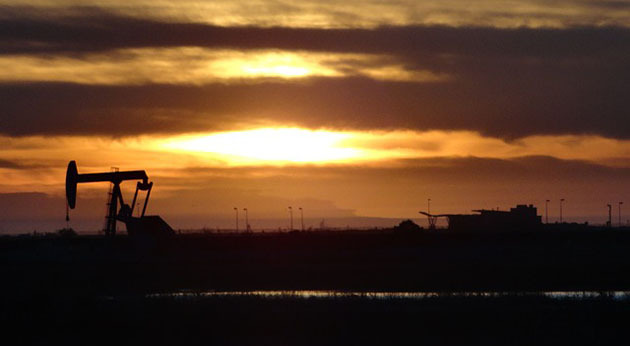 If commodity prices improve, we expect Prairie Provident will accelerate its drill plans. TER: Point Loma: What happened in the first half of the year and what can we look forward to? BN: Point Loma holds over 250 net sections of land concentrated in west central Alberta with a focus on the well-known shallow Mannville fairway, as well as a call option on the company in the emerging Duvernay shale oil. The company has identified over 65 bypassed pay opportunities for Mannville horizontal wells, which are highly economic even in a low oil price environment, and a horizontal drilling inventory of over 250 net locations. 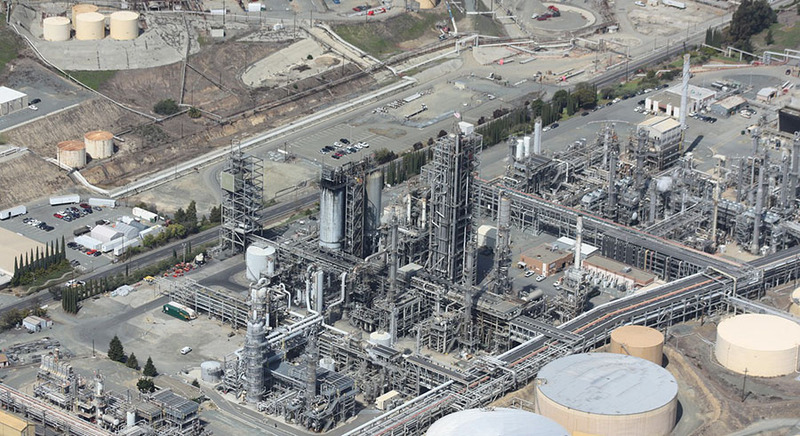 In the second quarter, Point Loma raised additional capital through the completion of two strategic joint ventures with Salt Bush and Evenergy Company. Evenergy is a long-term strategic investor and is a subsidiary of Zhongcheng Group, one of the largest privately owned petroleum refinery companies in China. With the completion of these strategic joint ventures, Point Loma is fully funded to complete a multi-well drilling program, tie-in behind pipe production and invest into facilities that position the company for substantial growth in the second half of the year and before year-end 2017. TER: How much production do you expect to be placed on production before year-end? BN: Point Loma has significant production volumes behind pipe in the Paddle River area that can now be placed back on-stream simply by completing minor facilities work and reactivating existing wells. Part of the reason for this is that in August the large Paddle River gas plant, which was recently acquired by Tidewater, was reactivated. As a result there is now amply spare processing capacity in the area. We estimate the behind pipe volumes to be between 650 and 750 boe/d net to Point Loma, which should be on-stream in the next few weeks and to be a key catalyst for the stock (i.e., doubles the company's production output before taking into account any new drill volumes from the current drilling program). Point Loma has also commenced a two well horizontal drilling program with each well having the potential to add net production of ~200 boe/d. Adding it all up, the drilling and well reaction program is slated to add 900 to 1,150 boe/d by year-end, which is significant growth in Q4 2017 versus the company’s current production of approximately 600 boe/d. TER: Looking to 2018, what can we expect? 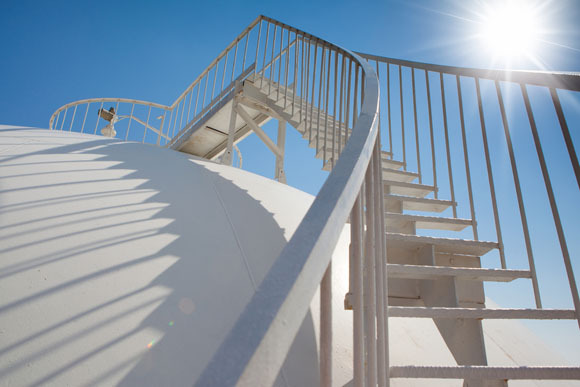 BN: In early 2018, PLX plans to re-connect additional behind pipe volumes in the company’s Thornbury area that could add another 250 boe/d of net production through company operated infrastructure. Again, this is a nice production bump to start 2018. In 2018, Point Loma is focused on continued growth through low-risk reactivations and organic development drilling, and with such a large acreage position and a very large drilling inventory, we expect production to continue to grow for many years. TER: On to Aveda. What’s its story? BN: Aveda Transportation and Services is the largest rig moving company in North America with operations located in the prolific shale plays in the United States and in Western Canada. Over 90% of revenue is generated by its U.S. operations and the company has expanded the number of terminals to 13, which cover over 70% of the North American market. During the downturn, the company brought in new leadership with the appointment of a new CEO, Ronnie Witherspoon, who has over 20 years of experience. Ron was previously president of Superior Well Services and before that executive vice president of Nabors Completion and Production Service. Management’s priorities were to get costs down, recapitalize the company and return the company to profitability, much of which has been accomplished. In January 2017, Aveda announced a $10 million equity financing that was upsized to $22 million. Aveda’s chairman, David Werklund, subscribed for $5 million of the offering. The company also restructured its debt by securing a $92.5 million credit facility with a syndicate of banks. Aveda has shown a substantial turnaround since the downturn, showing growing EBITDA in the last four consecutive quarters on the back of increased rig activity, cost controls and improved margins. In the second quarter revenue hit a record $52 million, and the company generating adjusted EBITDA of $5.1 million. So this really is a turnaround story that should keep building momentum in 2018. TER: Did Hurricane Harvey have any impact on Aveda's operations? BN: Aveda does have terminals across Texas, but they are located well inland; any disruptions from the hurricane are expected to be minor, so we didn’t adjust our forecasts. TER: Can you update us on Pan Orient Energy Corp. (POE:TSX.V)? BN: A few weeks ago, Pan Orient drilled a high impact exploration well on its East Jabung block (49% W.I.) in Indonesia. Recall that in 2015, Pan Orient farmed-out 51% of its 100% interest in East Jabung to a subsidiary of Talisman Energy Inc. (now a subsidiary of Repsol). In return, Pan Orient received an US$8 million cash payment and Repsol funded the first US$10 million of the cost of the AYU-1X exploration well. 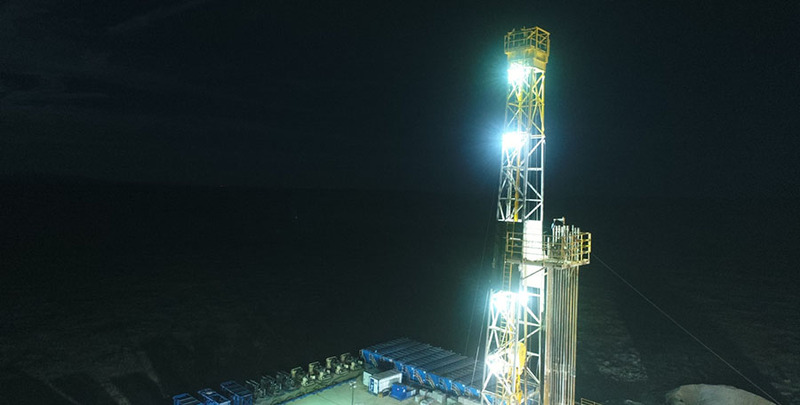 In late August the AYU-1X well was drilled to a total depth of 1,140 meters and encountered 5.5 meters of net oil pay within the Batu Raja formation, which was the primarily target. Although the net pay is thin, the reservoir was thicker than expected. The AYU-1X well also encountered good oil shows in well-developed sands in the Gumai formation, which was the secondary target. AYU-1X well location was selected to target the Batu Raja and so it wasn’t an optimal location for the Gumai formation. A more optimal location for the Gumai formation is located to the north on what’s called the Anggun structure. We think it’s highly likely that the Anggun structure will get drilled next year, after the construction of a new drilling location. In the meantime, the joint venture partners are currently drilling the ELOK-1X sidetrack from the AYU-1X wellbore targeting Lower Talang Akar sandstone, which laps onto the AYU high. Drilling could be completed by the end of September and will qualify as the second commitment well, so it will complete the first phase exploration well commitments for the East Jabung block. So, to sum up: the AUY-1X exploration well encountered thicker than expected reservoir in both the Batu Raja limestone and the Gumai sands and proved hydrocarbon charge into the Ayu/Elok/Anggun complex, which was the largest pre-drill risk. The ELOK-1X sidetrack well is a high-risk well but will fulfill the first phase drilling commitments on the East Jabung block and next year we expect Pan Orient will drill the Anggun prospect, which has been somewhat de-risked by the results of the AUY-1X well. If successful we see big upside for the stock price. Bill Newman is Vice President and Senior Analyst, Oil & Gas with Mackie Research Capital Corp. He has been an energy analyst for 21 years. He holds a bachelor's degree in commerce from the University of Calgary, and has a CFA designation. 1) Patrice Fusillo compiled this interview for Streetwise Reports LLC, publisher of The Gold Report, The Energy Report and The Life Sciences Report, and provides services to Streetwise Reports as an employee. She owns, or members of her immediate household or family own, shares of the following companies mentioned in this interview: None. She is, or members of her immediate household or family are, paid by the following companies mentioned in this interview: None. 2) The following companies mentioned in the interview are sponsors of Streetwise Reports: Pan Orient Energy Corp. Streetwise Reports does not accept stock in exchange for its services. Click here for important disclosures about sponsor fees. The information provided above is for informational purposes only and is not a recommendation to buy or sell any security. 3) Bill Newman: I own, or my family owns, shares of the following companies mentioned in this interview: Pan Orient Energy Corp. I personally am, or my family is, paid by the following companies mentioned in this interview: None. My company has a financial relationship with the following companies mentioned in this interview: Within the last 12 months, Mackie Research Capital has managed or co-managed an offering of securities, and received compensation for investment banking and related services from Prairie Provident Resources Inc., Point Loma Resources Ltd., Aveda Transportation and Services Inc. and Pan Orient Energy Corp. I was not paid by Streetwise Reports for participating in this interview. I determined which companies would be included in this article based on my research and understanding of the sector. Comments and opinions expressed are my own comments and opinions. I had the opportunity to review the interview for accuracy as of the date of the interview and am responsible for the content of the interview. 6) From time to time, Streetwise Reports LLC and its directors, officers, employees or members of their families, as well as persons interviewed for articles and interviews on the site, may have a long or short position in securities mentioned. Directors, officers, employees or members of their immediate families are prohibited from making purchases and/or sales of those securities in the open market or otherwise from the time of the interview or the decision to write an article, until one week after the publication of the interview or article. As of the date of this interview, officers and/or employees of Streetwise Reports LLC (including members of their household) own securities of Pan Orient Energy Corp., a company mentioned in this article.